Notifications 206: Performance is a short performance piece in which a human told through a series of calendar notifications from the point of view of a museum employee tasked with archiving digital work in the year 2061. While working on this project, I became very obsessed with the notion that any work of a museum archivist would be a very mundane and overwhelming job. There is a sort of thing that happens when people think about the future that is presumptuous to the point of being offensive in its’ laziness. 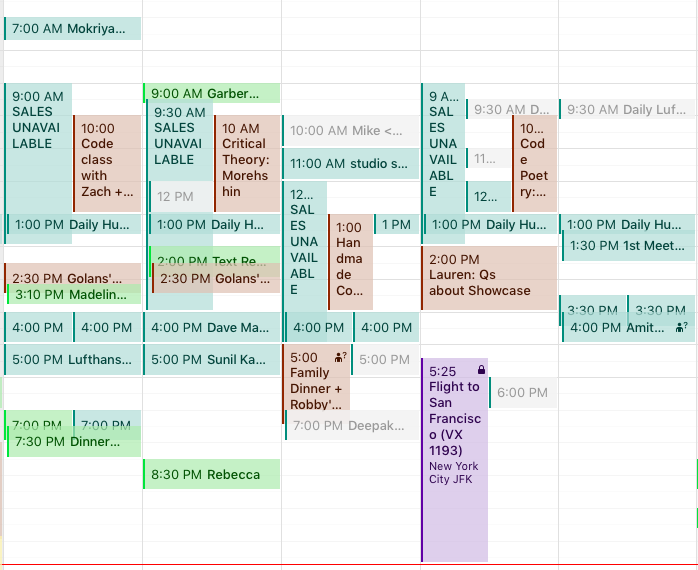 This is a typical week, and maybe even a little on the light side as it didn't reflect all the reminders I had. 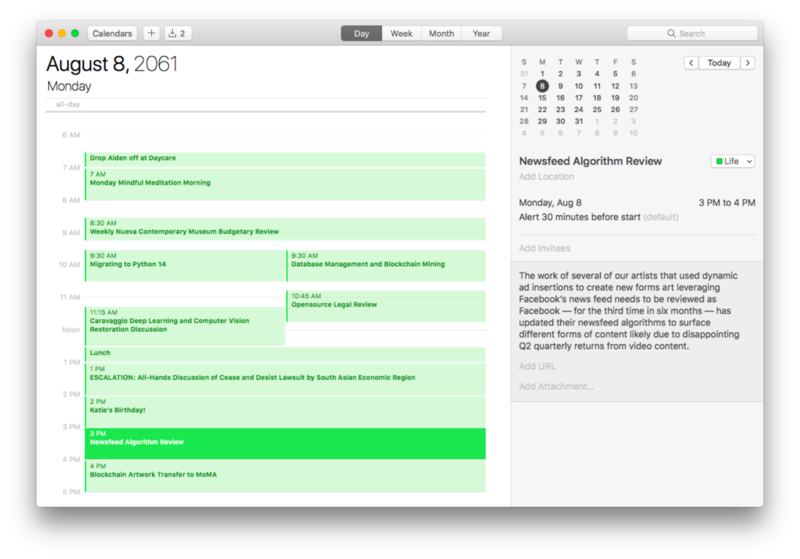 I live in calendar notifications that helps create works of technology used by millions of people around the world in big and small ways. But — from the outset, it is mundane and banal. The content of the piece was less important than the form. I wanted it to feel like the sort of physical push one gets daily in the form of sounds and vibrations that require you to contextually and physically re-orient yourself in the space you are currently occupying. Even though it was performed as part of a public reading, I think it is more interesting as a series of looping notifications that never ended — you would sit there and wonder what came next in this person's life that was both from the future but also so intimately familiar as a notification.